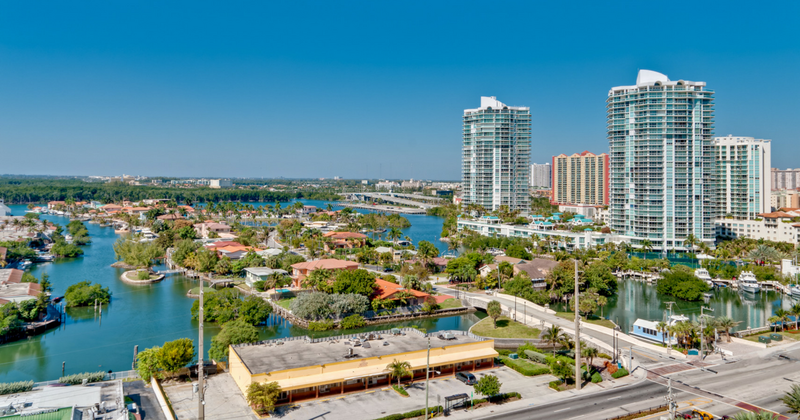 South Florida is home to a wide array of amazing neighborhoods. From Coconut Grove to Coconut Creek, Coral Springs to Coral Gables, there truly is something for everyone. But no place inspires so much excitement as the Magic City – Miami. Miami neighborhoods are as diverse as the people who live there. Here are some of the best neighborhoods in Miami, courtesy of ASP Windows. If you love Miami but are put off by the soaring costs of the city, consider moving to Aventura. Roughly only a ten-minute drive from central Miami, Aventura is home to the swanky Aventura Mall, which boasts a bevy of luxurious shops, including Louis Vuitton, Tesla, Givenchy, amongst others. The area is also home to an impressive array of trendy and mouth-watering restaurants and bars. For those who like the action, the world-famous Gulfstream Park – the home of horse racing in South Florida is located minutes away – providing excitement, as well as fine dining and even more shopping! If you are looking to settle down and raise a family, there is no better place in the Miami area than Coconut Grove. Miami’s oldest neighborhood, this seaside village is big on charm and a bastion of peace and serenity in the hustle and chaos of the Magic City. Featuring charming single-family properties, low crime and exceptional schools, Coconut Grove has long been popular for families and those looking for a serene neighborhood to come home to and relax. There’s even wild, roaming peacocks, majestic oaks and lush green parks aplenty. What’s not to love? Havens for the artistic, Edgewater and Wynwood are two up-and-coming and exciting areas of Miami. Home to famed Wynwood Walls, a collection of stunning displays of the best urban art in all of the United States, the neighborhoods are teeming with craft breweries, artisanal shops, stylish bistros, and some of the hottest nightclubs in all of Miami. Don’t let the warehouse feel fool you – this is one of the most exciting, dynamic and artsy areas in all of Miami. For most people who think of living in Miami, the images which come to mind are pulsating nightlife, the hustle and bustle, and all the finest amenities at your fingertips. If this is what you dream of, look no further than Miami’s downtown district. Encompassing several neighborhoods, including Brickell and Midtown, downtown Miami is a hive of activity. Beyond the thousands of restaurants and bars – offering diners and drinkers nearly anything their hearts desire – there are a host of world-class museums and arts centers, as well as the American Airlines Arena, which is home to the NBA’s heat (as well as concerts from the world’s biggest artists). The downtown area is also the fastest growing urban area in the whole country. Since 2010, construction has increased by over 66 percent – higher than anywhere else, including San Francisco. New development is mostly centered downtown and in the ever-popular Brickell area, meaning soaring rents and even more buildings scraping the sky! High rise living is not for everyone, but if downtown sounds like your kind of place, you’re in heaven! Living in Miami is an amazing experience. But fun in the sun is offset by an occasional hurricane which can stop the good times. Fortunately, that’s where ASP Windows comes in. At ASP Windows, we want you to be worry free when the next storm’s coming. Fully licensed and insured, and Ygrene certified, we offer no down payment and 100 percent financing until December 2018 on new impact windows and installation. Contact us today at (888) 782-8342 for a free in-home estimate on our extensive range of fully customizable windows, doors, and glass.